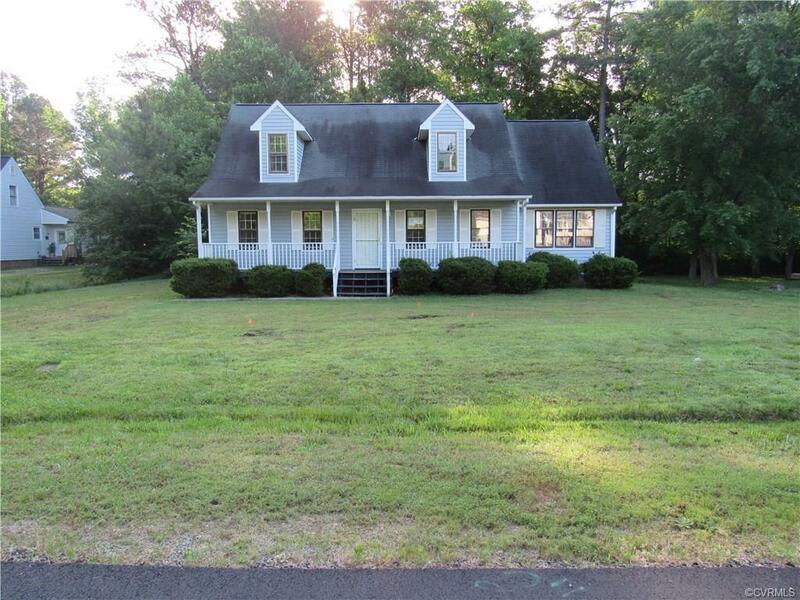 Great opportunity to own a home in Prince George County. This adorable Cape cod in the Huckleberry Hills subdivision features a deck, Porch, and Shed outside. Upon entering you will find a living room, family room, Kitchen, Laundry Room, 2 Full Bathrooms, 3 Bedrooms & 1 Additional room providing Flex space for whatever you may need. The Kitchen is in between the living and family room. And if you didn’t need 2 living spaces one of those rooms could easily be used a dining room. The first floor also features the 2 bedrooms, 1 of which is the master, 1 full bathroom and the laundry room. The second floor has 1 bedroom, 1 full bathroom, and your additional room/flex space. The additional room could be used as a multipurpose room that serves as a guest room and something else , a man cave, office or whatever else you could dream up.